Most of the people consume several cups of tea and coffee each day. 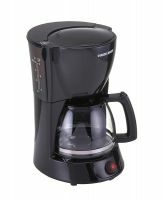 Making tea and coffee by the manual process takes lots of time, instead of that, most of the households and offices have installed the tea and coffee espresso machine which is cost-efficient and time saving. You can find a wide range of tea and coffee espresso make products from all major online stores and brands on a single platform. You can find products from well-known online stores like Flipkart, Snapdeal, Amazon, Pepperfry, Shopping.Indiatimes.com and many more to choose from. Tea and Coffee Espresso machines have become an essential kitchen appliance in most households and offices where several cups of coffee and tea are served daily. Using the manual process can consume more time and money, so installing a coffee espresso machine makes the process simpler and swifter. Instead of wasting money on the local coffee store for the flavour of coffee you like, you can have the same coffee at home anytime you want at free of cost with the latest espresso machine. 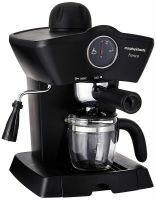 Though espresso machines are attractive, but there are several points to be considered like the features and functions, the flavour from the espresso machine, type of espresso, and accessories of espresso. 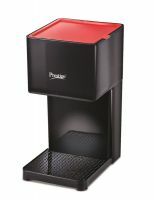 Most of the espresso models come with a variety of features and functions apart from brewing coffee. Some of the models have the features to offer different flavours of coffee depending on your tastes. The time and investment spent on an espresso maker are much lesser than the manual process of making coffee and tea. 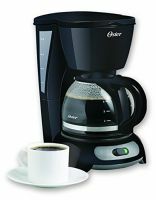 There are some models which are much faster in brewing coffee. There are different types of espresso coffee makers like manual espresso machine, direct lever espresso machine, spring piston espresso machine, spring piston espresso machine, moka pot espresso machine, automatic espresso machine, semi-automatic espresso machine, super-automatic espresso machine, pod espresso machine, steam driven espresso machine, and pump based espresso machine. Once you decide the type of espresso machine you need, you can further look for different types of features in the tea or coffee espresso machine like cup warmers, steam wands, water dispensers, strength control, moistening cycle, water filter, coffee bean grinder, coffee pot, and many more. If the tea or coffee, espresso machine is cleaned and maintained properly, then it can be easily used for at least 3-5 years without problem. Using the right type of espresso machine with required features and functionalities is important. 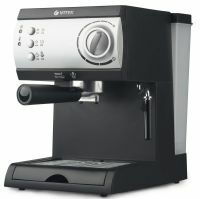 You can find an espresso machine at the local store, but not all local stores have complete range of brands and models. At DealsCorner, you can find products from all major online stores and brands on a single platform. You can search the product you need from any page you are on DealsCorner. Search with the keyword like ‘Espresso Maker’ on the search bar and the site will list all the products available from different stores. Use several filter options given in the search bar to narrow your search results. Use discount options or brand filtering option to further narrow your results to find the products in discounted rate or from specific brand you select. You can find almost all major brands like delonghi, Balck & Decker, Oster, Severin, Philips, Insalsa, Morphy Richards, Skyline, Clearline and many more. Search the products, compare the prices offered by the various online stores and then choose the product of your interest in the lowest price range available in India. Shopping at DealsCorner is simple and easy, enjoy your shopping and keep posting your reviews.